Time for another excerpt post, which many of you have come to appreciate. 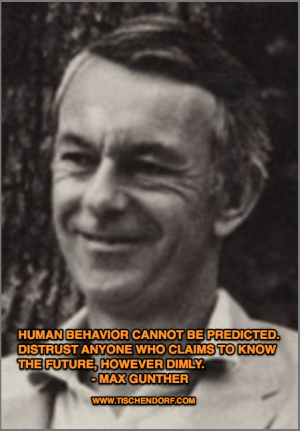 The most vicious trap a trader can fall into, is to follow so-called leaders or gurus because they are perceived to ‘know more‘ due to highly publicized predictions that turned out to be spot on. Human behavior cannot be predicted. Distrust anyone who claims to know the future, however dimly. 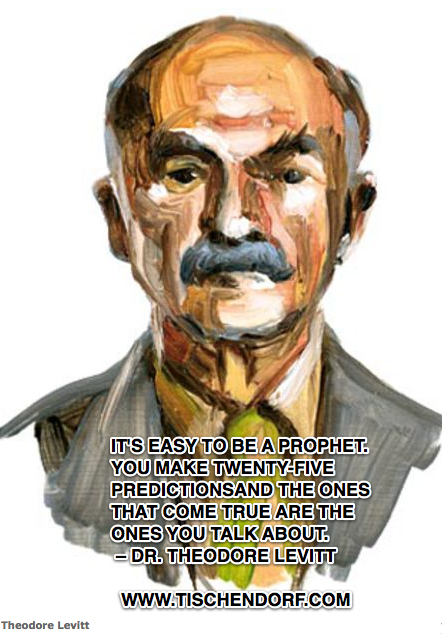 The Fourth Axiom tells you not to build your speculative program on a basis of forecasts, because it won’t work. Disregard all prognostications. In the world of money, which is a world shaped by human behavior, nobody has the foggiest notion of what will happen in the future. Mark that word. Nobody. Of course, we all wonder what will happen, and we all worry about it. But to seek escape from that worry by leaning on predictions is a formula for poverty. The successful speculator bases no moves on what supposedly will happen but reacts instead to what does happen. Design your speculative program on the basis of quick reactions to events that you can actually see developing in the present. Naturally, in selecting an investment and committing money to it, you harbor the hope that its future will be bright. The hope is presumably based on careful study and hard thinking. Your act of committing dollars to the venture is itself a prediction of sorts. You are saying, “I have reason to hope this will succeed.” But don’t let that harden into an oracular pronouncement: “It is bound to succeed because interest rates will come down.” Never, never lose sight of the possibility that you have made a bad bet. If the speculation does succeed and you find yourself climbing toward a planned ending position, fine, stay with it. If it turns sour despite what all the prophets have promised, remember the Third Axiom. Get out. Here’s Michael Covel’s take on predictions. For more excerpt posts and quotes check my Books Section. Here at the Tischendorf Letter we listen to the market! Members get exposure to the best leading stocks.